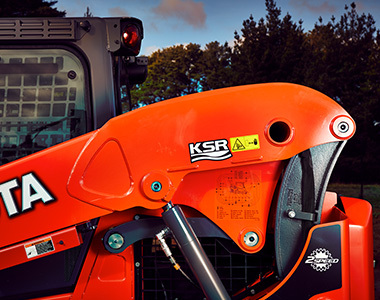 New to Kubota’s impressive line-up, the SSV75 Hand & Foot controlled machine is powered by a 74.3HP Kubota engine and boasts exceptional 2669KG bucket breakout force. 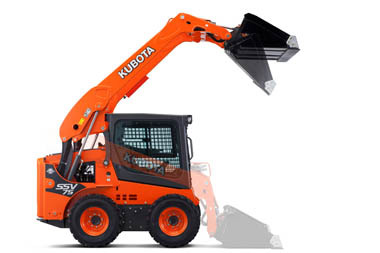 Featuring Kubota’s unique vertical lift design, to deliver exceptional reach of 936mm with exceptionally high hinge pin height of 3258mm for easy dumping into trucks and other lifting tasks. The Common Rail System (CRS) electronically controls the timing and amount of fuel that is injected in stages, ensuring optimal combustion for greater gas efficiency, better fuel economy and less engine noise. Tier IV-certified, thanks to the emissions-reducing combination of Exhaust Gas Recirculation (EGR) and the Diesel Particulate (DPF) Muffler. 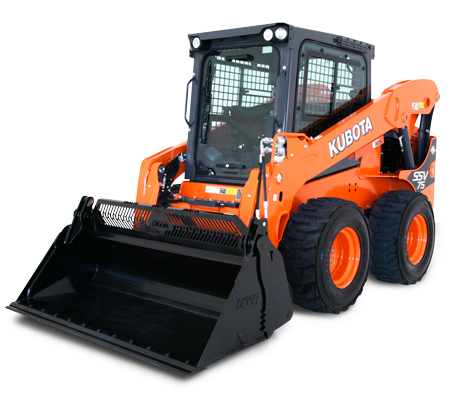 Kubota’s automatic regeneration system burns away the soot that accumulates in the DPF muffler to keep the muffler clean and working longer. Self-leveling function keeps the bucket or forks in a horizontal position without having to manually adjust the angle when lifting the arm. Wide working range and unique vertical lift design delivers exceptional long reach of 936mm. The tip of the arm is optimally shaped to provide an exceptionally high hinge pin height of 3258mm for easier dumping into trucks and other lifting tasks. Standard speed function to shift from 11.9 km/h to 18.9 km/h with a press of a button. 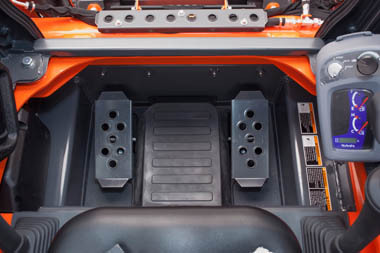 Kubota Shockless Ride (KSR) helps minimise fatigue by smoothing out your ride when carrying heavy loads over rough terrain. 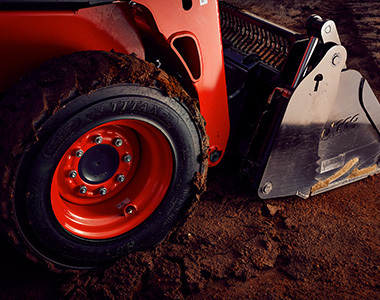 Crack-resistant heavy-duty tyres feature durable tread pattern for superior grip and stability. The sidewalls are wider than the wheel to prevent stones and dirt from becoming wedged between them. Ground clearance of 207mm let’s you drive over troublesome obstacles with ease. 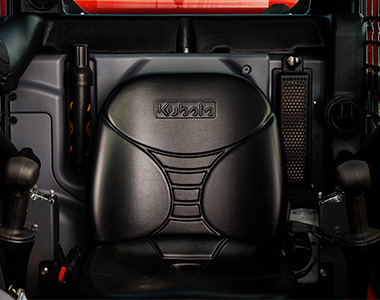 The luxurious cab delivers all you need for a comfortable ride: wide cab entrance, ergonomically designed controls, 12V socket for charging mobile phones, cup holder and deluxe suspension seat. Enhanced defrosting and demisting function prevents windows from fogging or freezing during winter months.